The SR-21 was an evolutionary step following the SR-9. The result was the most powerful Single-Stage-To-Orbit spaceplane to date. 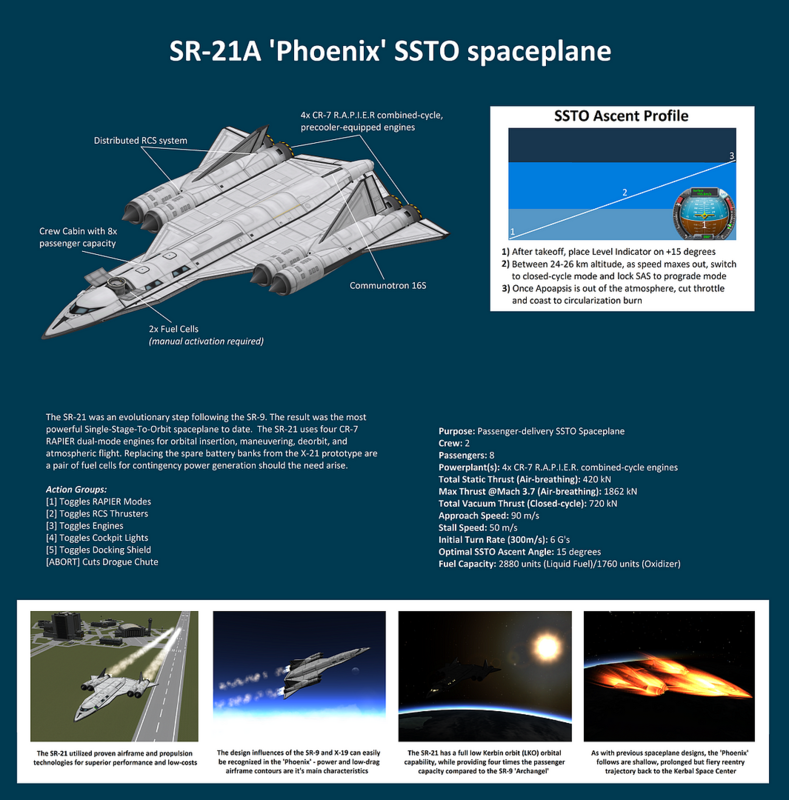 The SR-21 uses four CR-7 RAPIER dual-mode engines for orbital insertion, maneuvering, deorbit, and atmospheric flight. Replacing the spare battery banks from the X-21 prototype are a pair of fuel cells for contingency power generation should the need arise.